Pottery 51, a cooperative of local clay artists and long-time tenant of The Lofts at 7714, will continue to call this retrofitted mill property its home through December, 2017. JMMT Partnership, the owner of The Lofts at 7714, and Pottery 51 recently agreed to extend the non-profit’s lease from December 31, 2015 to December 31, 2017. “We are thrilled that Pottery 51 will continue to grace our vintage building with its presence for several more years. Its members are incredible stewards of this historic relic,” said Mary Crotty, JMMT Managing Partner. 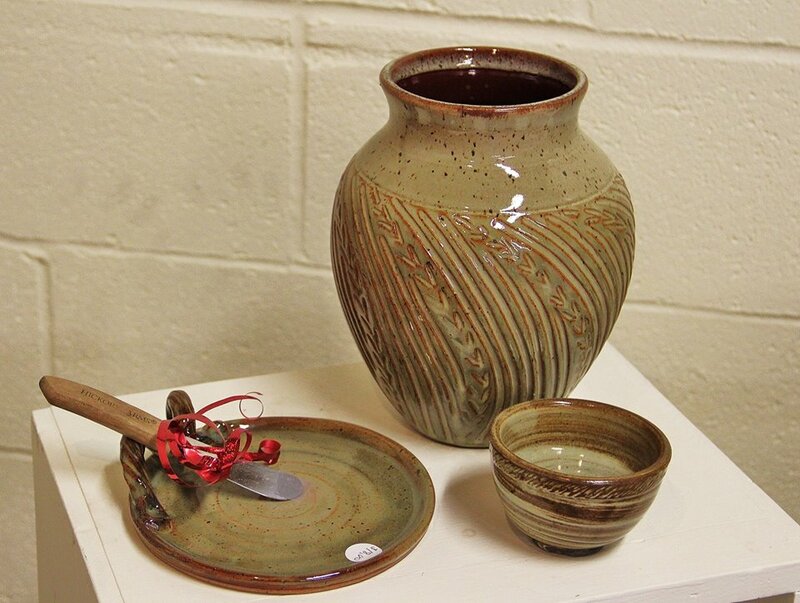 Pottery 51 is the longest running tenant in the building, their tenure dating back to when it was a part of Mint Hill Arts. They were originally located in Suite I at the back of the building, but in 2012 they moved to the street-front Suite C for more space and visibility. They are active participants in Mint Hill’s Art Around the Block and incredible artists. If you haven’t seen their beautiful clay works in person, visit their gallery at 7714 Matthews-Mint Hill Road, Suite C. It’s open when their flag is waving. Posted on January 30, 2015, in In the News. Bookmark the permalink. Leave a comment.